M. Lisella – Al, our Mayor, was instrumental in taking charge of the vehicle storage situation. I would like to see the construction of a building on the west side of the parkway for a first aid building, possibly donation of property. Thank you Al and Jeff for the guidance you gave me in this position. L. Morano – 10 acres property next to Mirage for first aid building. We honor Quality Medical for all they do and the safety of the residents of this town will always be number 1. Thank you to Al and Jeff for all you have done for this committee. J. Melchiondo – Memorial here tonight in honor of the victims of the Newtown CT tragedy. Barnegat D.O.V.E. (Division Of Volunteer Efforts) has received multiple truck loads of donations for Sandy victims in and around Barnegat. Thank you to the Sea Spray Hotel in Holgate for assisting us in helping those residents. The need is still there for donations of money and items for residents. Thank you to Barnegat and its residents for allowing me to do my job on this committee for the past eight years. A. Bille – thank you to Charlie and all who contributed to the 9/11 Memorial. Yes, the first aid needs a place on the west side of the parkway to assist residents. Read a letter he sent out to many companies alerting them to the availability of the Genuardi’s store site. Thank you to Al and Jeff for always thinking what is best for Barnegat. Follow up on Johnson’s Pit vehicle storage issue, that the Township is issuing violations on a daily basis. A consent order has been drawn up that sets conditions for remediation. FEMA issued new advisory flood maps for the New Jersey coast, impacting Barnegat Township. Engineer: base flood is increasing 3’-4’ in the lagoon area based on these maps. Based on these maps, the cost of flood insurance may go up for properties below these elevation limits. Admin: The Township entered into an agreement through the County with storm debris removal company, Ash Britt, to continue collection of storm debris. Both the State and County are encouraging towns to assist each other with resources. While we are appreciative of the 75% reimbursement from FEMA, but we should request 90-100%. Explained detail of ordinances and resolutions on this agenda. Jake Taylor – 106 Newark Road: Resolutions 2012-628 & 621 no action should be taken on these resolutions. I request that the Township Committee rejects these resolutions until the State has made a decision. Engineer explained that if the Pinelands commission does not approve this ordinance the builder can not proceed with development, the resolutions become null and void. The State has the right to deny this ordinance, as well as all outside agency approvals in this state. Frank Pecci – 11 Hemlock Drive: Why did the Township allow these trucks to bring the cars into the pit for storage, and why are they still operating? Why can we not allow Quality and our own First Aid use the same building? Why build a new one? Questioned resolution 623 on this agenda and engineer clarified. Rob Liccione – 93 Gunning River Road: I am the First Aid Captain any questions for the First Aid should be brought to me. We do not use any neighboring town for our back-up. I have several issues with a newspaper article published, Quality medical covers many towns, and there are many other office spaces in this town. Our average response time is four minutes. Quality medical is required to send only one bill to each transported passenger whether they are paid or not, there is no follow up. Residents need to be told about this if they have insurance or not. We need space, the building, for our squad we want to expand. Our downtown location is busting at the seams, we can not expand our programs in that building. We notified EOC that we were without power during the storm for six days. James Goldstein – 15 Ripple Terrace: First Aid Squad president, we can not be held hostage by any paid or volunteer service, we have no problem with Quality Medical Service. Frank Gambino – 9 Wavecrest Court: We, in the First Aid, are here to serve the town. I had a call and had to drive 9 miles round trip to get to my neighbor with a rig, if we had a station west of the parkway this would not be an issue. Linda Kropf – 38 Bridgewaters Passage: We people, Mirage, did not turn down the first aid building. The community at that time was governed by the developer, who was in charge of the trustees. They had the vote, not the community. Our community has no problem readdressing this issue, anything for the benefit of the town. L. Morano: The golden gate’s coming down. LK: Thank you to all those that saw our town through this trying time of super storm Sandy. 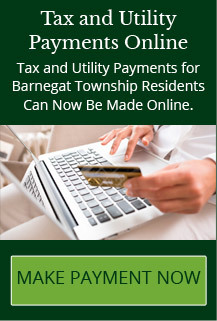 I am proud to be both a resident and representative of an adult community in Barnegat. Willie Muller – 3 Jon Drive: I have an issue with the road at Route 9 south and Barnegat Blvd., I thought there was an agreement that this was going to be improved. Engineer explained impacts on the highway and NJDOT. The other road issue is Burr Street from library to school the road has not been finished, and towards the cemetery. Toni Carrea – Old Brookville Road: I appreciate the work that you have done about Johnson’s pit, but disappointed that it has been allowed. Mayor: The state had to overrule our zoning law to allow this to go on, we have issued violations. Engineer: This property must be restored to pre-Sandy conditions and then to remove the old violations issued to restore to original mining condition. A consent order will be issued as to conditions of removal and time frame. LM: we will follow through 100% for clean up. Rafael Adorno – 441 E. Bay Avenue: What are the plan and the membership of the first aid, and what have they done to increase response time? This information should be supplied if they plan to proceed with expansion of squad to a building west of the parkway in order to serve the residents of this community.